Inside the mind and worldview of the man who saved Britain. Seventy years ago, in the summer and fall of 1940, Western civilization teetered in the balance as Britain stood alone against Nazi-controlled Europe. Other major world powers did not lend aid; Russia supported Germany, and the United States remained neutral. After Britain resisted the assault of Nazi bombers, in what was dubbed the “Battle of Britain,” the country was saved and German momentum stymied. The whole course of the war then radically shifted. Germany turned east and attacked the Soviet Union in June 1941 and then declared war on the United States in December 1941, sealing its ultimate defeat. It was Winston Churchill who, upon becoming prime minister in May 1940, fortified the British people against the German assault. Churchill’s role has become the stuff of legend. Less well understood is how he came to lead his nation at that crucial moment. For decades, his judgment, integrity, and credibility had been questioned, if not disdained. But it was the very essence of his character—his eclectic but distinctive worldview and his dedication to the advance of civilization—along with his ample rhetorical and leadership skills, that led him to shape history at such a pivotal moment. Further muddling his image was Churchill’s mixed pedigree: a maverick father from a prominent British aristocratic family and an American mother. (The latter was considered a major flaw.) He did not fit neatly into any period in which he lived, seeking guidance from history but shirking the stultified embrace of the past adhered to by some Conservatives. He avoided newness for its own sake—an instinct that characterized some Socialists—yet nimbly welcomed new developments. His approach to global issues after World War I exemplified his worldview. 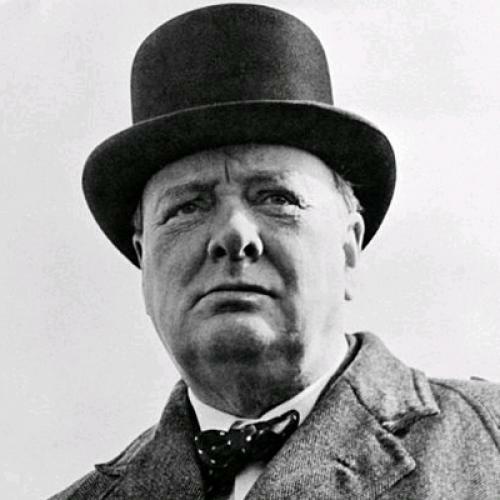 The unprecedented horrors of that war and the destabilizing peace treaties of Paris—which he blamed on weak leaders who followed the misdirected passions of the masses—shattered Churchill’s golden age of the prior century with its boundless advance of progress. He now feared that civilization would cease its upward climb, the chief threat being the 1917 Russian revolution and Bolshevism. The Bolsheviks, Churchill believed, represented a return to barbarism, rejecting that which Victorian Britain had stood for: “the laws and customs of centuries,” the “whole structure—such as it is—of human society,” as Churchill put it. Churchill felt the same deep obligation in seeking to contain and destroy an even greater threat to civilization: the rise of Nazi Germany. He foresaw a major continental war shortly after World War I, a period he characterized in 1929 as “[e]xhaustion which has been described as Peace.” He feared that Germany, resentful of overly harsh peace terms, would ally with Soviet Russia, while France and countries that had emerged from the collapsed Hapsburg and Russian empires were weak and weary. Already in 1931, he considered Britain to be “suffering from a disease of the will.” It was in this context that Adolph Hitler rose to power. Churchill considered Nazism vile and barbaric, a rejection of civilization in every way, despite his respect for the German race. He was particularly offended by its anti-Semitism, which made Nazism, in some ways, worse than communism. As he perceived the Soviet Union turning inward, he argued that Nazi Germany’s growing power was now the greatest threat to Britain and civilization. He sought to enlist fascist Italy and Soviet Russia in a grand alliance against Germany. But, in the mid-1930s, Conservative Prime Minister Stanley Baldwin dawdled while Germany rearmed. As Churchill famously put it, “So they go on in strange paradox, decided only to be undecided, resolved to be irresolute, adamant for drift, solid for fluidity, all-powerful to be impotent.” Baldwin’s successor, Neville Chamberlain, believed an appeasement strategy would dull Hitler’s appetite; Churchill blasted this policy as well, alienating his Conservatives colleagues further. Churchill was clearly the indispensable man of the moment in 1940, whom destiny summoned to change the course of history. His overwhelming love of country and civilization, grave sense of obligation to protect and improve on all the good the ages had produced, romantic view of the world, and keen understanding of how history had reached a vital point, made him realize why he and Britain had to battle relentlessly, regardless of the odds. His firm conviction that individuals can overcome great adversity, his belief that great leaders can redirect global forces, and his uplifting oratorical abilities, allowed Churchill to shape the thoughts and feelings of his countrymen and save his country and civilization. Michael Makovsky is Foreign Policy Director of the Bipartisan Policy Center and author of the Churchill's Promised Land (Yale University Press).